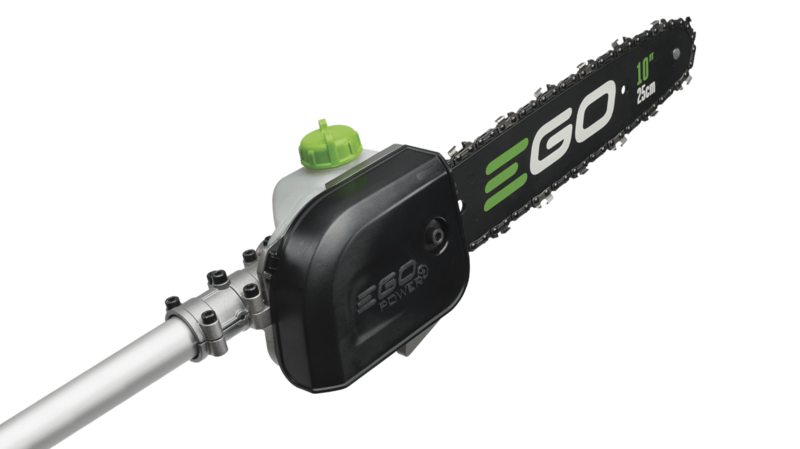 The 10" EGO Pole Saw is part of the EGO POWER+ Multi-Head system. Built tough for efficient cutting limbing. The automatic lubrication system lets you work until the job is done. The Oregon® Micro-Lite Narrow-Kerf Cutting System, featuring a narrow-kerf sprocket nose and double guard bars. 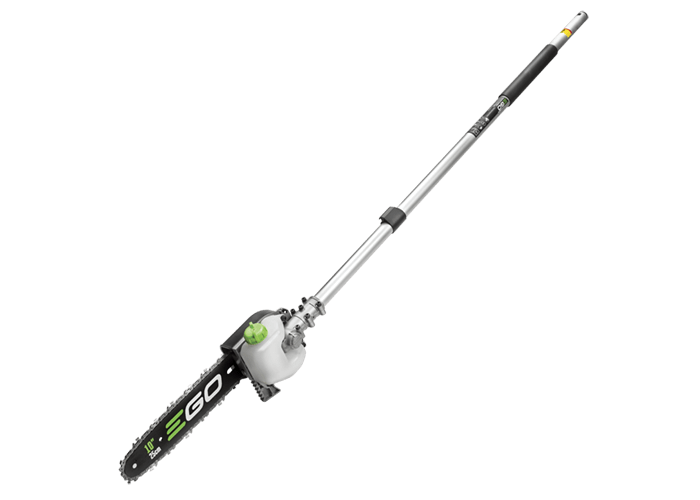 EGO attachments are designed specifically for your EGO POWER+ Power Head (PH1400) and offer the highest quality & performance. I cut them all down!! Everything gets CUT DOWN! Wow! Dead branches, maples, sycamores, hornet nests, squirrels, whatever! Nothing can withstand the tremendous power of my mighty pole saw! I purchased this pole saw hoping it would simplify reaching and cutting small branches. It worked perfectly. But I was apprehensive when my wife asked me to cut an 8" diameter limb...It was absolutely amazing how well it worked.